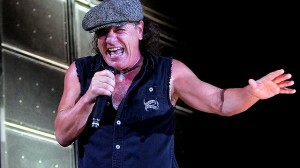 The AC/DC frontman was due to tour in February 2012 in support of his recently released book, “Rockers And Rollers: A Full Throttle Memoir”, but has been forced to cancel all tour dates. Brian Johnson will now undergo urgent wrist surgery following his drive in the Rolex 24 Endurance Race at Daytona International Speedway. Johnson’s mini-tour, dubbed “Rockers & Rollers – A Full Throttle Evening of Stories and Music with Brian Johnson of AC/DC,” was scheduled for a number of dates throughout February 2012 in North America, and was to feature guest appearances by Skid Row members bass player Rachel Bolan and guitarist Scotti Hill. AC/DC fans who have purchased tickets should contact the venues or the ticket supplier for a refund. Disappointed by the news? 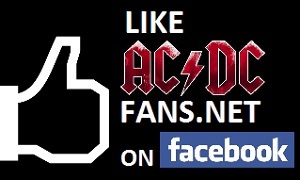 Let other fans know in the AC/DC forum.